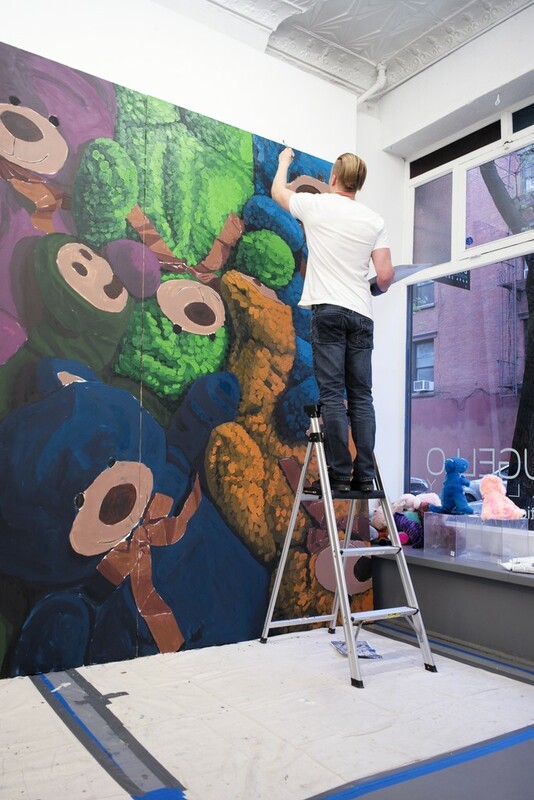 JWG is please to present the first-ever solo exhibition of Brent Estabrook’s work in New York. 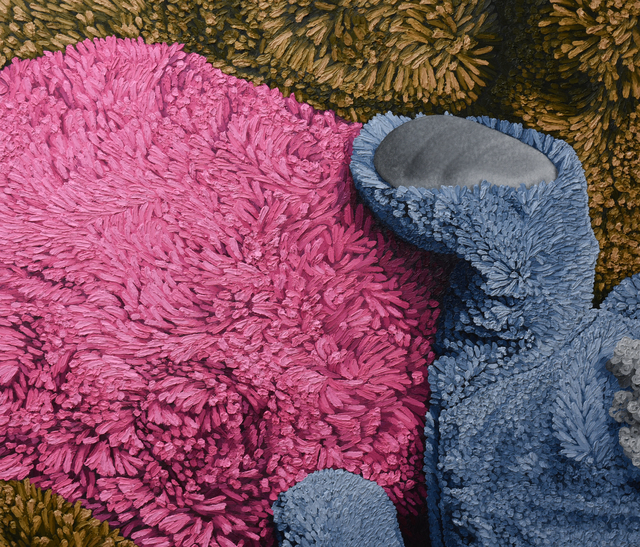 Captivated by the endless aesthetic and compositional possibilities of the materiality of childhood toys, Estabrook manifests a visceral tactile impression though his use of brushstroke, color, and texture. 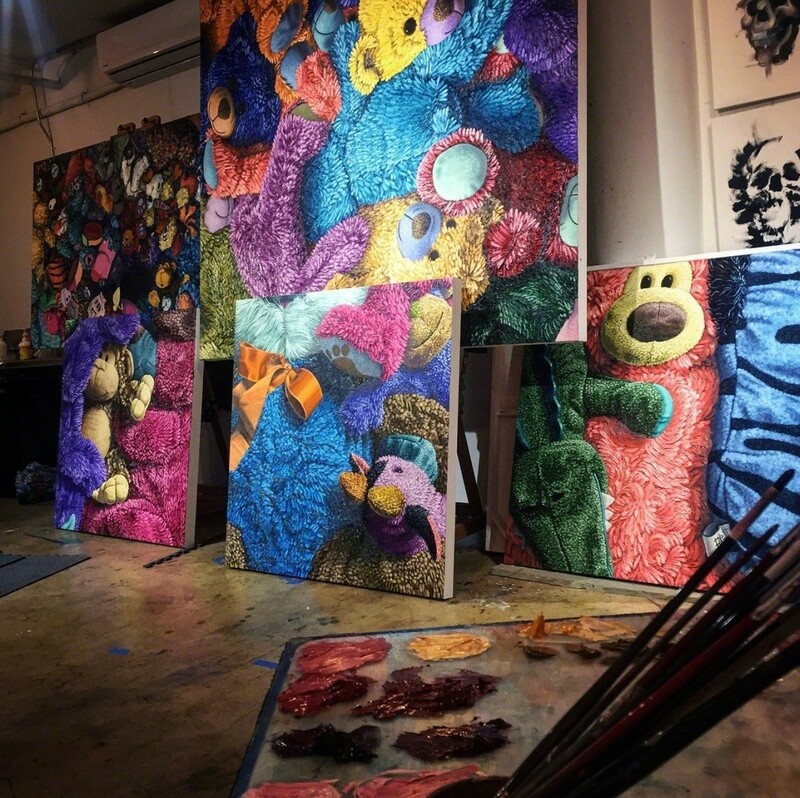 This NY experience will feature the artist live at work — creating monumental oil paintings imbued with a sculptural dimensionality and depth of field that causes them to rise from the canvas and participate in the three dimensional studio/gallery environment. This live month-long public experience will feature the creation of two large works — one of which is 10FT tall X 15FT wide (305cm X 457cm) — all open and inviting to the eyes of the public. 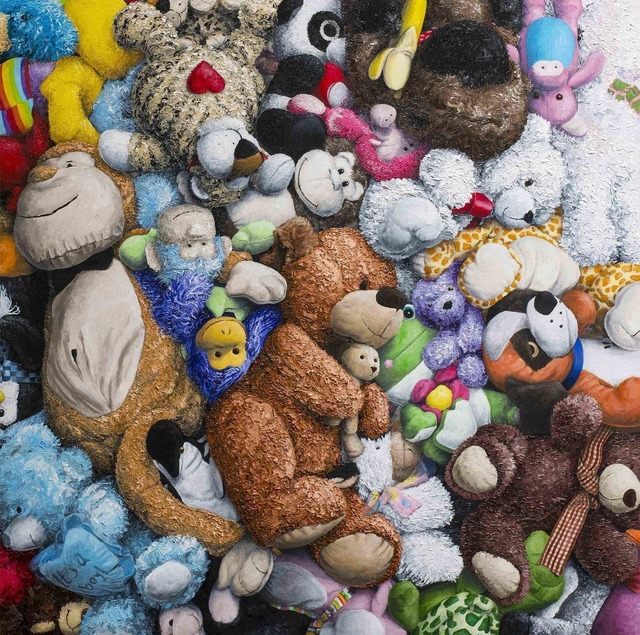 Alluding to the earlier work of another Los Angeles contemporary Mike Kelley, Estabrook’s masterful paintings have transitioned the subject matter back to canvas. 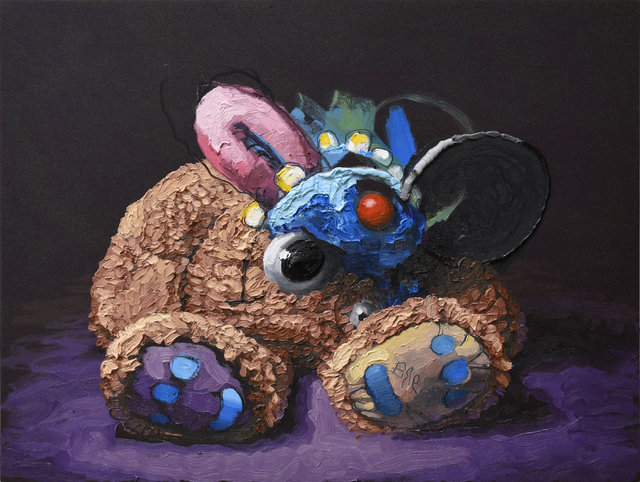 His fine oil paintings take on a Kaws-like composition and vibrancy with large scale and detailed brush techniques that force us to recall our inner child. Rekindling that beautiful innocence that as adults is all-to-often forgotten. The widespread appreciation and nostalgia for these works has helped Estabrook further his conversation in the public realm. A fully illustrated catalogue is forthcoming. Brent Estabrook was born July 11th, 1985. He grew up in Seattle, Washington and received a BA in Fine Arts from the University of Arizona. Unbeknown to most, he also received a doctorate of Dental Surgery (DDS) from the University of Louisville. Although he abandoned his dental profession the day after graduation, Estabrook's artistic career has benefit immensely from those four intense years spent studying human facial anatomy, utilizing unconventional tools, sculpting crowns, and stressing microscopic details. 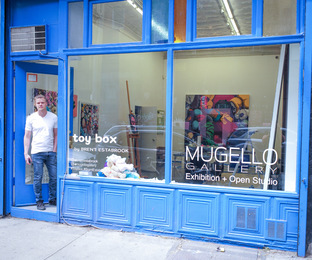 Estabrook’s larger than life oil paintings and mastery of color and texture has reinvigorated our love for fine paintings in an era that has been overrun by digital shortcuts, and me-too works created by sloppy stencils and copyright image appropriation. Throughout the various bodies of work, Estabrook displays an unrelenting focus on the detail and placement of every brushstroke. He’s invented a science for color mixing and selection, and created works that captivate audiences of all ages and walks of life. 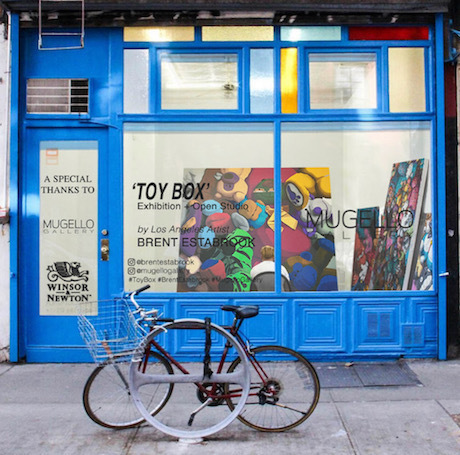 Brent pays ode to the struggle and evolution he has experienced as a human, and artist. He hopes that this story, told through his works of art, will inspire others to negate the small road blocks and pursue a life void of fear... to follow their passion and childhood dreams, and to do what undeniably makes them as happy as possible.